I am heralding the third anniversary celebrations of my Blog with a very Royal, laced in history and immensely loved sweet Jaozi Halwa. Preparing this sweet confection to mark the celebrations was a befitting ode to my labour of love, my reservoir of food passion and my journal of culinary stories. My Blog holds an extra special place in my life and I have nurtured it with fervour and fueled it with the love and encouragement from my dearest readers, my co food enthusiasts and zealous gastronomic friends. Just like the Jaozi Halwa made with extra dollops of ghee, a bounty of dry fruits, a fragrant and extraordinary spice Nutmeg / Jaiphal with an overdose of the finest saffron had won over royal hearts 100 years ago and continue to do so even today, my Blog too is a minuscule yet earnest effort to win over the heart of my readers and stoke up their culinary ardour. I am perennially striving through my Blog to let the culinary adventure begin and continue in each and every kitchen across the globe as soon as any foodie happens to traverse through my food journal. I will continue to fire up the passion for cooking, experimenting and creating the most decadent dishes in your food lab dear readers, that's a commitment I make to you. 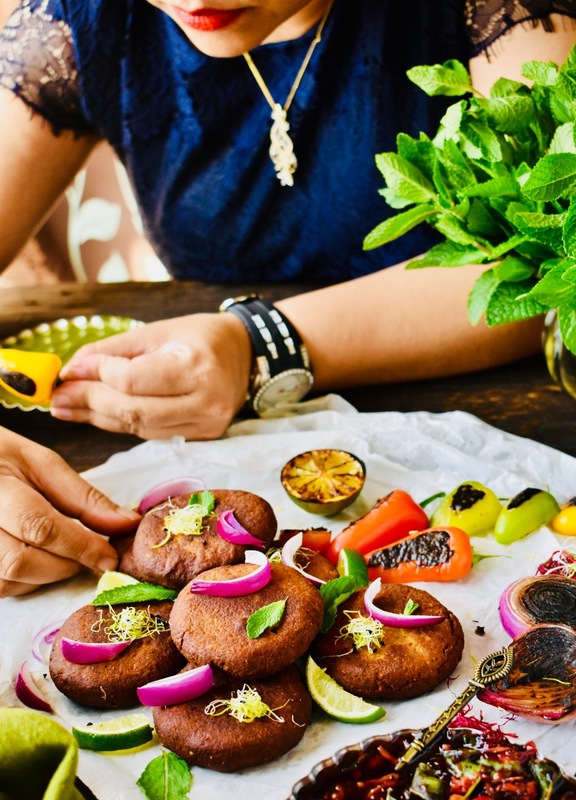 An odyssey which was born from an intense desire to traverse through world cultures and traditions by sampling food, got compiled in a blog named " MY TRYST WITH FOOD AND TRAVEL ". Time surely does fly and my food journal has today completed, three fulfilling years of documenting my culinary adventures in my kitchen and beyond. 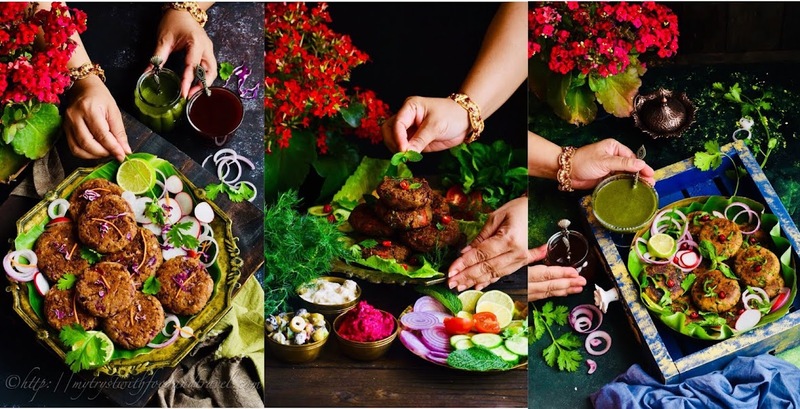 My Blog has been a home to not only my food stories and kitchen escapades, but also has been that one place where I enjoy sharing multiple happenings and life occurrences surrounding my voyage into the extremely exciting and decadent world of food. 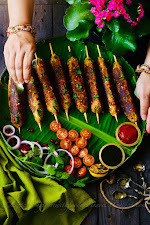 My Blog is my medium of meeting, connecting and knowing closely ardent gastronauts, food connoisseurs and cooking maestros, travelling virtually with them into their food gallery through their lip smacking dishes and inviting them into my cookery by presenting my beloved fare to them. Today I want to acknowledge the warmth and encouragement bestowed upon me through my Blog by discerning foodies, loyal readers, co-bloggers and most importantly a bunch of selfless supremely crafted blogger friends. I specially want to thank a million times over those friends (you know who you are) who have stood by me, cheering, motivating, guiding and caring for me through thick and thin. I am thankful to you all for these memorable experiences of learning, sharing and getting to encounter the indulgent food universe. I hope that I will continue to enjoy your love and patronage in the times to come. I earnestly promise to never disappoint my readers and shall continue to regale you with my food quests and narratives. Dear readers, HAMEEDI CONFECTIONERS is the pioneer of Jaozi Halwa. As you can read from their Facebook Page ( HAMEEDI CONFECTIONERS FACEBOOK PAGE ) this sweet confection is made from milk(full fat), mixed nuts, pure ghee (clarified butter), saffron (kesar, zaffran), sugar and the heady spice nutmeg, which is the star of this dish. The ingredients used are sourced from the finest available, therefore till this day the quality and taste have remained consistent for more than 100 years. As told by one of the family members Anees Ul Hussain, his grandfather, Mohammed Hussain who is the creator of Jaozi Halwa came to India from Turkey when his father was commissioned to work in the Nizam's army in Hyderabad. Mr. Mohammed was only 13 years old when his father passed away. This led to the family living in difficult conditions as the money from his father's pension was too meager to support the entire family. Mr. Mohammed Hussain was a very crafted cook with mastery over different types of Halwa, even at that tender age of 13 years. So this lad set up a sweet shop to help supplement his family's income and it was in this shop that he started making Jaozi Halwa. The seventh Nizam of Hyderabad was the biggest patron, not only naming the sweet shop after one of his son but also declaring this as the official royal sweet shop of that time. Today more than a 100 years later, Hameedi Confectionaries still continues to win the heart of their customers through their scrumptious Jaozi Halwa. The Jaozi Halwa is very simple to make as only 6 ingredients are used in it. But this is time consuming as the milk is simmered away till it reduces to one fourth of it's original quantity. But trust me, the final product is so totally worth every minute of the wait. Now if you are living far away from Hyderabad you can either order Jaozi Halwa online or surprise your family by preparing royal stamped sweet dish in your kitchen. The Recipe is offcourse from Hameedi Confectioneries. 1) Soak the mixed nuts covered with water for 12 hours. After soaking for 12 hours, remove the skin of the Almonds, pistachios. Grind them to a fine paste adding 4 ~ 5 Tbsp milk. 2) Crush and boil the strands of saffron in 1/4 th Cup water and keep it aside. NOTE ~ You can simply soak the saffron strands in a warm cup of milk. I feel you can maximize the golden hue of the saffron by following my method. 3) In a heavy bottom saucepan put in the mixed nuts paste. Pour in milk slowly a little by little at a time. Stir continuously and cook the mixed nuts paste in the milk for 5 minutes. Now add in the remaining milk, stir and bring to a rolling boil. Once boiling point is reached, bring your burner to the lowest and start reducing the milk. Stir often, scraping the milk solids from the sides of the saucepan. 4) Once the Milk is reduced to 1/2 its original quantity, add sugar. After a couple of minutes add in the saffron soaked in milk or boiled in water. Sir and mix with milk. Let the milk simmer for 10 minutes, then add the nutmeg powder. Mix. Finally add in the clarified butter. 5) Once the milk has reduced to 1/4th of it's original quantity your Jaozi Halwa is ready. Transfer the Halwa into a serving plate and garnish with almonds, pistachios, silver foil and dried rose petals. The Jaozi Halwa does have a distinct hint of Nutmeg but does not overpower or camouflage the other ingredients. It's rich and totally a royal treat. This is one of the most delectable sweets you will ever taste. Take my words for this. Do not miss savouring this sweet. Try it out and you will be delighted that I shared the recipe of this historical sweet with you. This Jaozi Halwa is my humble effort to recreate this magnificent sweet dish in my kitchen as an ode to the most popular Royal Halwa courtesy Hameedi Confectioners. I also want to applaud and appreciate the way this historical sweet has been passed on through the generations and preserved. Hats off to Hameedi Confectioners for that. We all should join hands together and not allow such gems from the pages of history to fade away.